Wizkid, Tiwa Savage, Femi Kuti, Dbanj to perform with Beyonce and Jay Z in South Africa – Royal Times of Nigeria. 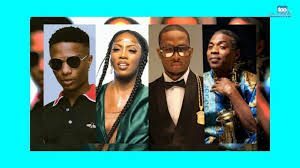 Music stars WIzkid, Tiwa Savage, Femi Kuti and Dbanj have been announced as the few select Nigerian artistes to perform at the Mandela 100 Global Citizen Festival. Scheduled to hold on the 2nd of December at the FNB stadium in Johannesburg, the Festival in collaboration with the House of Mandela will honor the former South African President, late Nelson Mandela while celebrating the 100th posthumous birthday of the apartheid struggle hero. 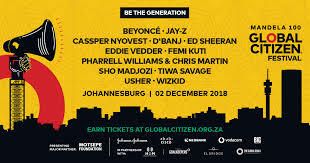 Global Citizen Impact made the announcement on twitter earlier today, that the festival will also feature international acts like Beyoncé, Jay Z, Ed Sheehan, Usher, Pharrell Williams together with African artistes, Cassper Nyovest and Sho Madjozi. Naomi Campbell, Sir Bob Geldof, Gayle King, Tyler Perry and Forest Whitaker will host the event, while media mogul Oprah Winfrey will deliver a keynote address.